Hi, I'm really loving your website!! I'm arriving at the Chania airport on July 25th in the morning and taking a ferry to Santorini from Heraklion on July 28th. I know Crete is super big and wish I can stay longer but my schedule is very tight. I want to explore more of the west side of the island since I'm arriving at Chania. What I want to do is visit Chania town, and go to some beaches. The beaches I want to visit is Elafonissi, Falassarna, and Balos beach. Which I don't know if it's possible to visit all of them. I am not planning to rent a car at all. Do they have small ferrys that can take me from one beach to another? If not, how are bus schedules like? I also want to visit Heraklion since I have to depart from there anyways. Maybe stay the first two nights is Chania and last night in Heraklion? 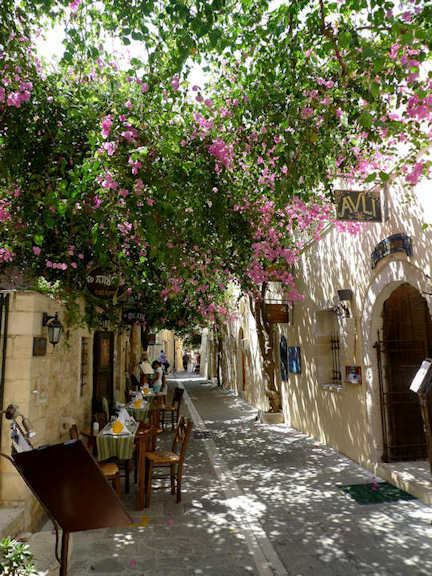 I was also thinking to do a quick stop at Rethymno on the way to Heraklion. The only problem is that I'm going to have all this luggage with me. Do they have a small storage unit or somewhere that I can rent for a few hours to store my luggages? Where is more convenient for me to stay? So much to do in such a little time. Thank you so much!!! Yes, there are luggage storage options at the airport and the bus station in Chania. So you can take a load off then set off on your adventure around western Crete. You are really going to be pushed to see all three beaches of Elafonisi, Falasarna and Balos without a rental car. There are no ferries connecting up these beaches. The bus schedules are good but the distances are large and you simply won't fit them all in. These are pretty remote and wild beaches. The best way to do it would be to rent a car. We have put a suggested itinerary down for you below.